In this area of the Apparel Search fashion brand directory, you will find women's fashion brands from leading apparel companies and fashion designers. On this particular page, you will find information regarding women's clothing with the Issac Mizrahi brand. You are welcome to utilize this section of our clothing guide to review Issac Mizrahi news, Issac Mizrahi blog posts, Issac Mizrahi photos, and more. The Isaac Mizrahi brands provide style to customers of every age, size, and culture—a true Democracy of Fashion which Isaac himself pioneered. Isaac Mizrahi is an American fashion designer and Chief Designer of the Isaac Mizrahi brand for Xcel Brands. Based in New York City. The Isaac Mizrahi brand is the epitome of iconic American fashion and stands for timeless, cosmopolitan style. Isaac Mizrahi launched his eponymous label in 1987 to critical acclaim including four Council of Fashion Designers of America (CFDA) awards. Since its inception, it has achieved international acclaim for its colorful and stylish designs. The shapes and silhouettes are classic, clean and refined, while the execution is exuberant, bold, and confident. 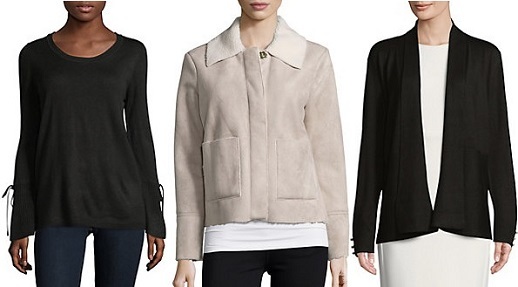 Learn more about the women's Isaac Mizrahi fashion brand. If you have changed your mind and do not wish to research the brand Issac Mizrahi, you can use the search engine on this page to find another clothing label that may be of more interest. Apparel Search is a leading guide to fashion, style, clothing, glam and all things relevant to apparel. We hope that you find this Issac Mizrahi page to be helpful. What ever you are wearing is in style.